“OVO,” the amazing touring circus production by Cirque du Soleil, has been wowing audiences worldwide since the show premiered in 2009. Now, the family-friendly big top production of “OVO” has begun a new series of arena shows, giving Cirque du Soleil fans a great opportunity to enjoy a Cirque du Soleil show in their hometown. Ticketsatwork.com is featuring excellent ticket savings for “OVO” in six different stops on the tour. “OVO,” meaning “egg” in Portuguese, tells the story of a mysterious egg that appears in the midst of an insect colony. The insects are awestruck and intensely curious about this iconic object that represents the enigma and cycles of their lives. It is love at first sight when a gawky, quirky insect arrives in this bustling community and a fabulous ladybug catches his eye – and the feeling is mutual. There are eight total acts in “OVO”, each spotlighting the breathtaking acrobatic talents of the cast. Slackwire: In a tour-de-force performance a Spider defies gravity and physics in a succession of seemingly impossible feats of strength and balance as he traverses a wire that appears to give him no support. At one point he hangs at a 45-degree angle over the ground, some 15 feet below, and he tops that with an upside-down unicycle act. Wall: This act features a dozen artists running, jumping, and walking across—and straight up—a vertical wall without artificial support. Air mat and trampolines give them the speed, lift and momentum to take flight. Their athletic ability, physical strength and team coordination take care of the rest. The exquisitely produced “OVO” is a stunning, theatrical presentation that wows the imagination – and further underscores Cirque du Soleil‘s creative innovation. “OVO” delivers more visual proof of an artistic team constantly expanding their talent for originality and expression. “OVO” is a must-see: a rush into a colorful ecosystem teeming with life, where insects work, eat, crawl, flutter, play, fight and look for love in a non-stop riot of energy and movement. Grab you special ticket savings from TicketsatWork.com today to enoy Cirque du Soleil and “OVO” in your city! Hershey, PA – Save over 30% on select seats! 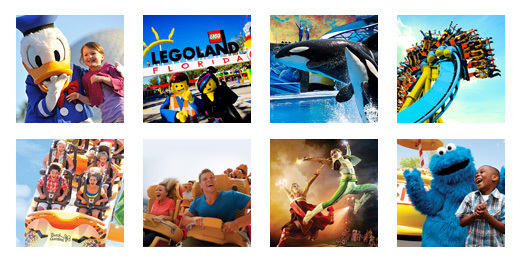 Orland, FL – Save over 30% on select seats! Estero, FL – Save over 30% on select seats! Jacksonville, FL – Save Over 30% on Select Seats!